Fatheadz has long used race car sponsorships to promote its line of oversize sunglasses. But because racing fans didn’t often connect to his website while at the track, Chief Executive Rico Elmore felt he was missing a marketing opportunity. After learning about Quick Response (QR) codes earlier this year, he slapped some of the squiggly squares on the Fatheadz autograph cards he hands out at races. Now, fans with smart phones use them to get information instantly about their favorite drivers—and a look at Fatheadz’s glasses. Although data is still coming in, Elmore says, June is shaping up to be the Indianapolis company’s best sales month ever. Quick Response codes were developed about 15 years ago, but they are just starting to be adopted by small U.S. companies like Elmore’s, says Jared Smith, CEO of Talent Evolution, a digital marketing consultancy in Laguna Niguel, Calif. Smith spoke recently to Smart Answers columnist Karen E. Klein about using the codes. Karen E. Klein: Where did the QR code come from? Jared Smith: It’s actually been around since the mid-1990s, mainly in Japan. In the U.S., they’ve popped into awareness in the last 18 months. People have started noticing them on products and in magazines. I’m doing a lot of seminars and speaking about them because small business owners are starting to wonder how to leverage them. They are actually 2D bar codes that you scan with your smart phone or other mobile device. You have to download a QR code reader; then you can use them to access all kinds of information, including web addresses, personal or professional contact information, or Internet landing pages. 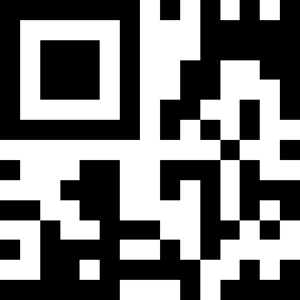 There are several QR apps you can download for free. So you have to know a little about them, and you have to get the technology to be able to use them. Does that make them kind of exclusive? What kind of awareness do you find among small business owners? About 50 percent have no idea what I’m talking about. Another 50 percent are somewhat familiar with the technology. All of them want to know more, especially about how they can begin using them. What’s the best way for small businesses to use them? How do they best fit into an overall marketing plan? They are great tools to leverage what you’re doing offline, say with a print ad campaign, or your business card, or product packaging. We’re going to start seeing more of them on television and websites, too. The QR code can take someone to a specific landing page, like a video testimonial or your company’s Facebook page. One of the key things is to have the QR code provide an extra level of information. You want people to think this is going to show them something really cool. You can also use the QR code as a tracking tool by tying it to a special promotion. For instance, we use one to promote our workshop, and we give those who scan it 25 percent off the price. That’s a great metric. How does a company create one of these codes? You use a tool called a QR code generator. Again, it’s free, and there are several different applications you can use to generate them. You plug in the URL where you want the code to go, and then you get an image of the code. You right-click on that and copy and paste it into your materials. And if you’re using it on print material, you’d send the image to your designer or printer? Yes, just make sure they test it. You don’t want thousands of copies of an ad going out with a code that doesn’t go to the right place. The other thing you want to do is make sure the pages you link to QR codes are mobile-ready, so people can view them easily within their phone. This entry was posted in marketing and tagged Advertising, Business, Business plan, business strategy, Company, Consultant, Customer, dimitri, dimitri snowden, ion360, Jared Smith, Los Angeles, Marketing, Marketing and Advertising, Message, QR Code, Quick Response, Quick response manufacturing, Relevance, Shopper marketing, Shopping, six sigma, Small business, strategy, Uniform Resource Locator by dimitri seneca snowden. Bookmark the permalink.